Translation apps like Google Translate have been assisting new arrivals in Spain for years. The typing and voice translators are well-known, but other handy features are hiding in plain sight waiting to make your life easier! 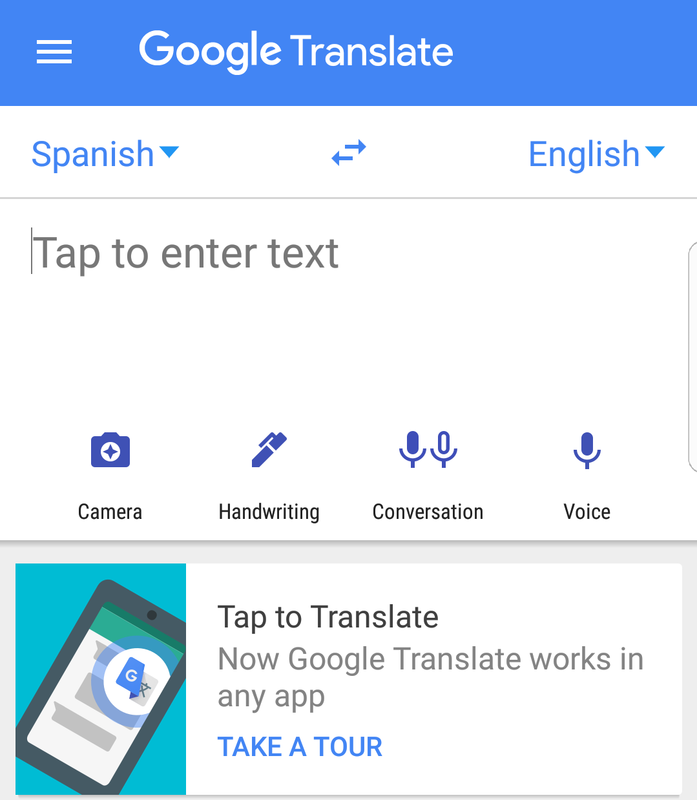 If you select the camera function on Google Translate, you can point your phone directly at written Spanish and it will translate it for you. The app will translate the words it is ‘reading’ directly onscreen for you, which is great if you’re looking at a short phrase or just 1 or 2 words. However if you need to translate a longer passage then it will be best to take a photo of the writing and then it will give you a separate written translation to read. You can also upload pictures from your camera roll, so if you see something you’d like to translate later just snap a picture. This feature isn’t ideal for long documents but perfect for food packages, menus, signs, and other short paragraphs. This involves writing with your finger directly onto your screen and the app will translate to your chosen language. It is a bit of a novelty feature for most people, however there are some circumstances where it might be truly useful, such as if you can’t see to type or if you find typing the small buttons difficult. If you scroll down while on the app, your recent translations are listed under the box. There is a white star next to them. If you tap the star it will turn yellow, meaning it has been added to your ‘phrasebook’. Handy for storing phrases you’d like to remember for later! To use all the features on the Google Translate app, you need a smartphone. We have a range of smartphones in stock, including the famously easy-to-use Alcatel U5. Give us a call or fill out the ‘Tell me More’ form on this page and we will be happy to talk you through your options and recommend the best one for you.